Gift Shop & Gallery, Stokes Croft, Bristol. Sophie Rae’s work is bright, cheery and full of textures. 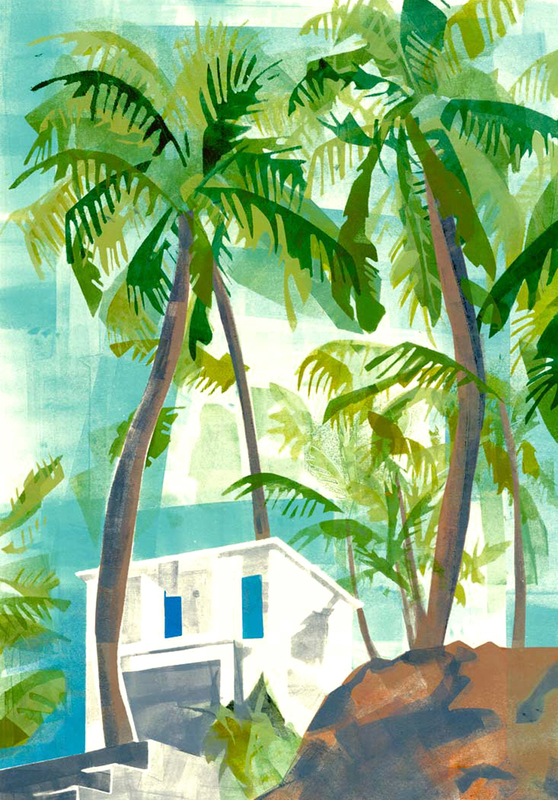 She loves creating prints based on places she been, the view of palm trees on the shoreline or natural elements with a few quirky twists. She creates her work in layers of printing ink, using a roller and stencils. She enjoys the translucent overlapping effects of the ink and it’s spontaneous results.